Ted Judy, standing alongside the Cano Potosi, home of Apistogramma viejita. 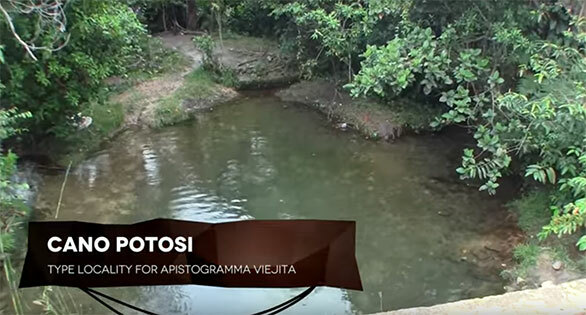 “I’m standing here beside a beautiful clearwater stream in the Meta river system in the Colombia llanos. 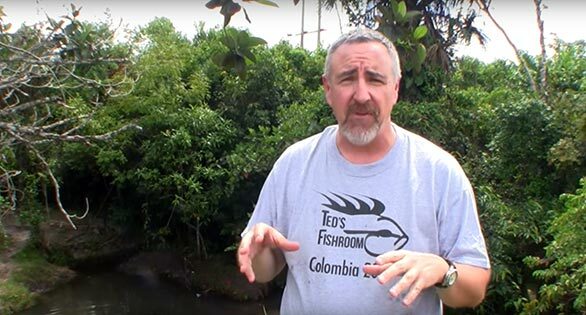 This stream runs into the Meta River, which eventually runs into the Orinoco, so the type of fish species we find here are fish that we find in the Orinoco system, and specifically the Meta river system. 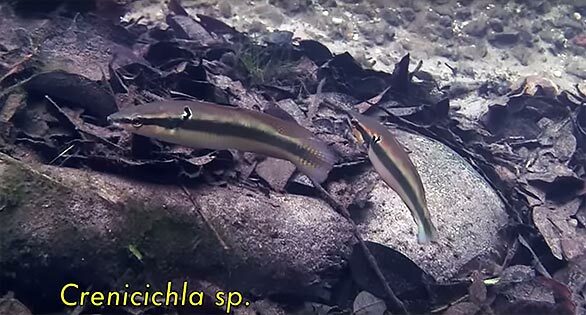 Pike Cichlids, Crenicichla sp., encountered while snorkeling. Ready to dive into the the Cano Potosi? Explore the amazing Cano Potosi biotope and find Apistogramma viejita. Watch now!